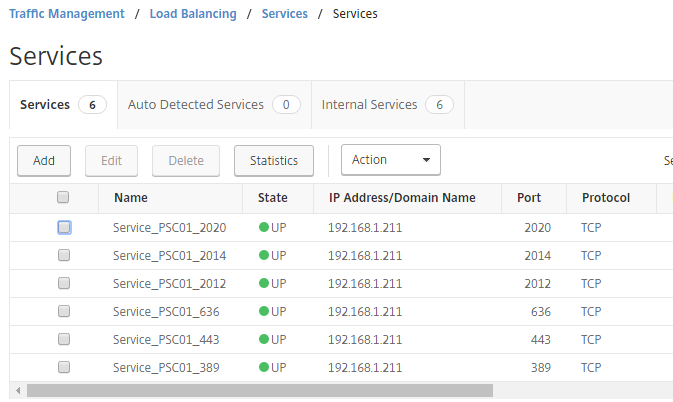 In this post will cover the load balancing of PSC servers with Netscaler. 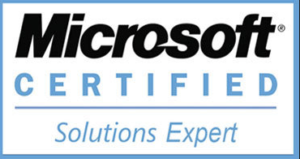 If you are new to Netscaler or wanted to refresh on some basic concepts of Netscaler please view my Netscaler series here. One free IP used for load balanced virtual IP for PSC nodes. 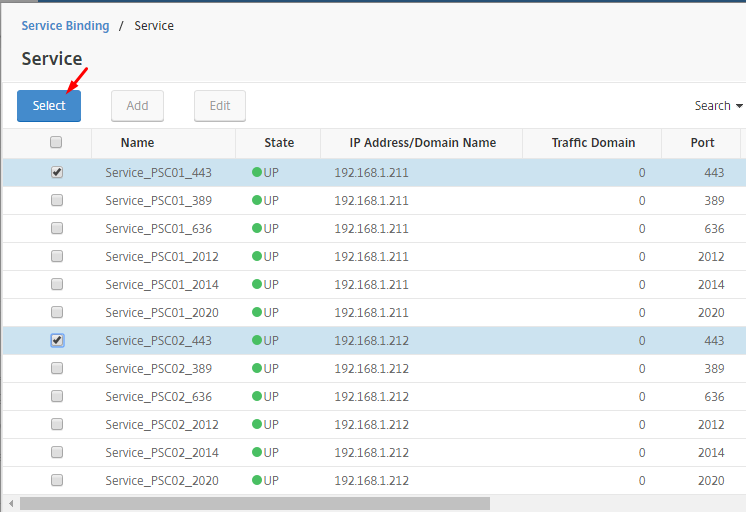 Communication from Netscaler SNIP to both PSC nodes on ports 443, 389, 636, 2012, 2014 and 2020. 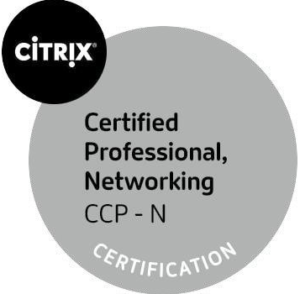 No certificate needs to be installed on Netscaler for this activity as we are using only TCP virtual servers. 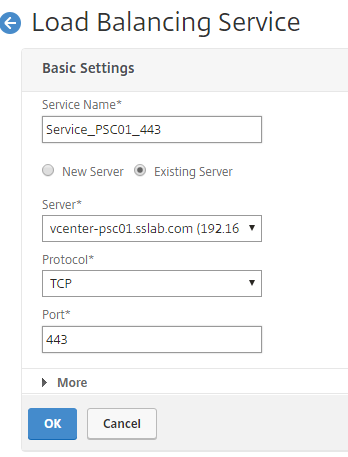 First we need to both PSC nodes as servers in Netscaler. 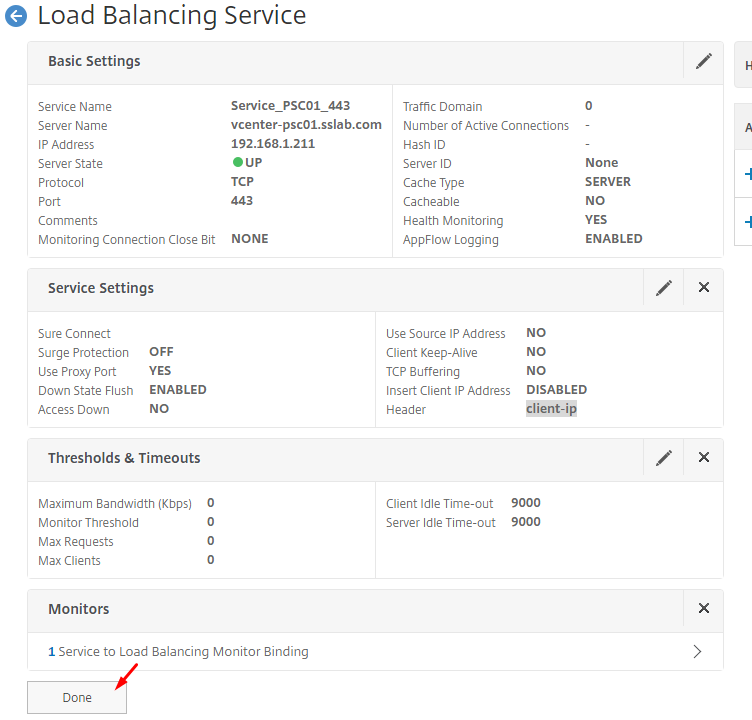 Navigate to Configuration > Traffic Management > Load Balancing > Servers. 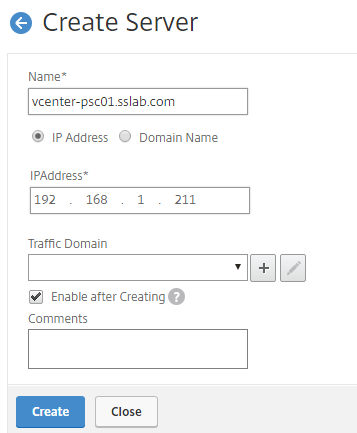 Similarly create the second PSC server. Both the PSC servers needs to be added as shown below. 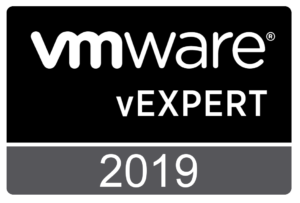 VCenter PSC nodes will work on ports 443, 389, 636, 2012, 2014 and 2020. Hence we need to create services for both PSC servers for all the 6 ports. So by the end of this section a total of 12 services will be created for both PSC nodes. 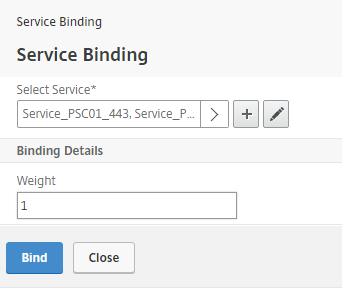 Click OK to create the service, Click Done in the service overview page. Note: Similarly create separate services with ports 389, 636, 2012, 2014 and 2020 with first PSC. 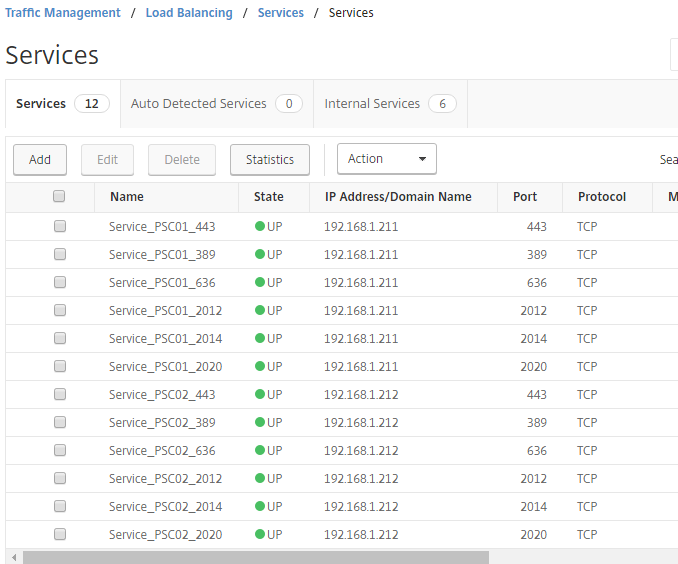 Now all the 6 services for PSC1 will show for ports 443, 389, 636, 2012, 2014 and 2020. Similarly create services for Second PSC for ports 443, 389, 636, 2012, 2014 and 2020. At the end a total of 12 services will be visible with status UP as below. As each PSC is working on ports 443, 389, 636, 2012, 2014 and 2020, so we need to create 6 virtual servers with same IP for each of these ports. Respective services created before for both PSC will be added to the virtual servers. We need on Free IP which will be called the Virtual IP used for creating virtual servers. Same IP will be used with different ports for creating the virtual servers. 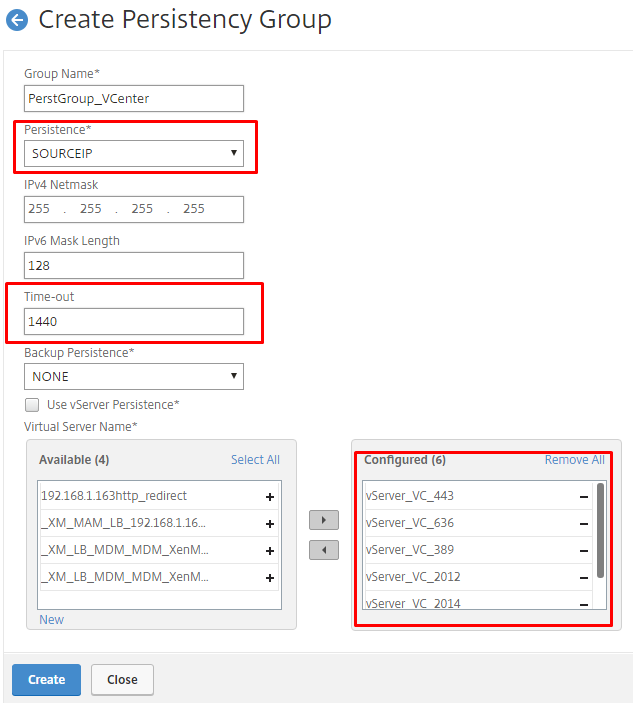 The Subnet IP of the netscaler should be able to reach the PSC nodes on ports 443, 389, 636, 2012, 2014 and 2020 for successful communication. 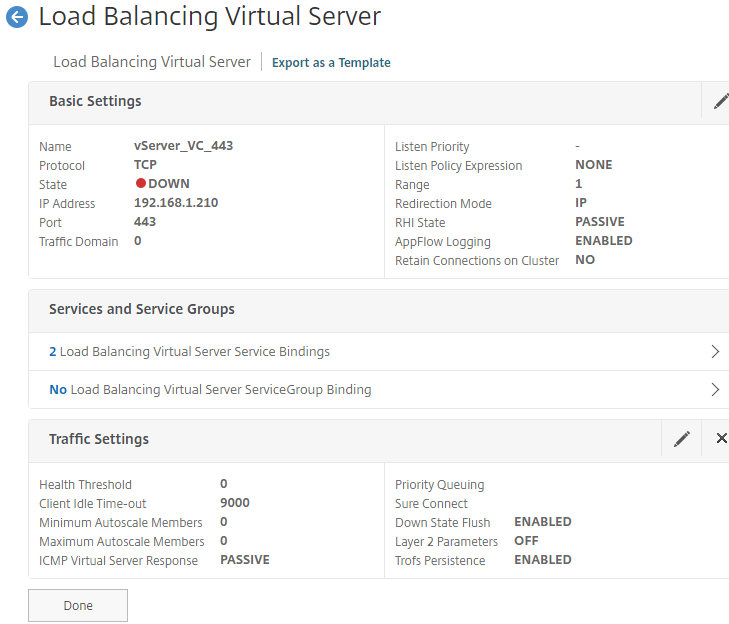 Navigate to Configuration > Traffic Management > Load Balancing > Virtual Servers. Select the respective services from PSC1 and PSC2. 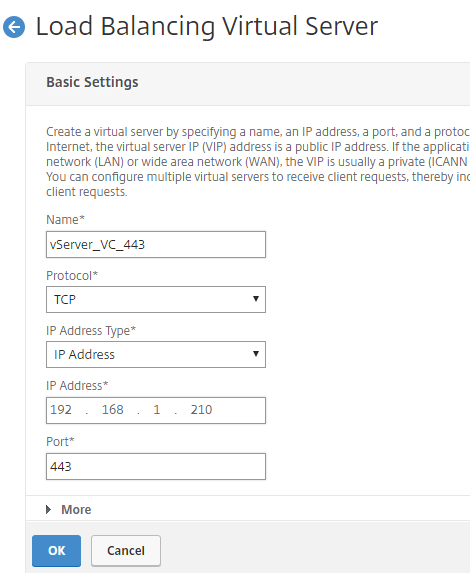 Like for virtual server 443 add services with port 443 only. 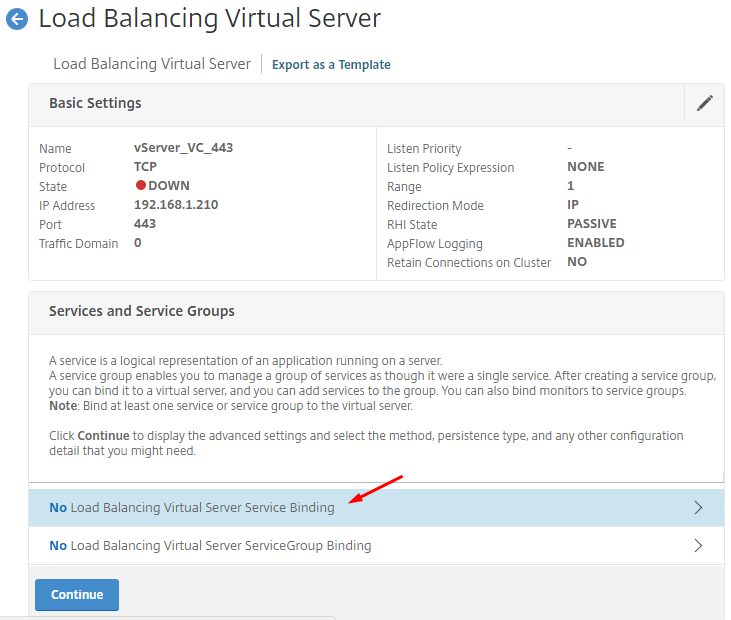 Click Bind to bind the services to virtual server. Similarly create virtual servers for ports 389, 636, 2012, 2014 and 2020 and respective services. All the virtual servers status will show up and greeen as below. We need to create a persistency group with higher value like 1440 to make the vcenter to PSC session stable. Persistency group is created as below. 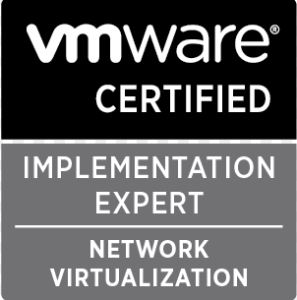 Now verify all the virtual servers are up and correct services with ports are bound to it. 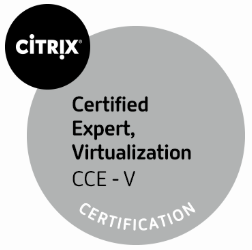 Click on each virtual server and verify the persistency is present as well. 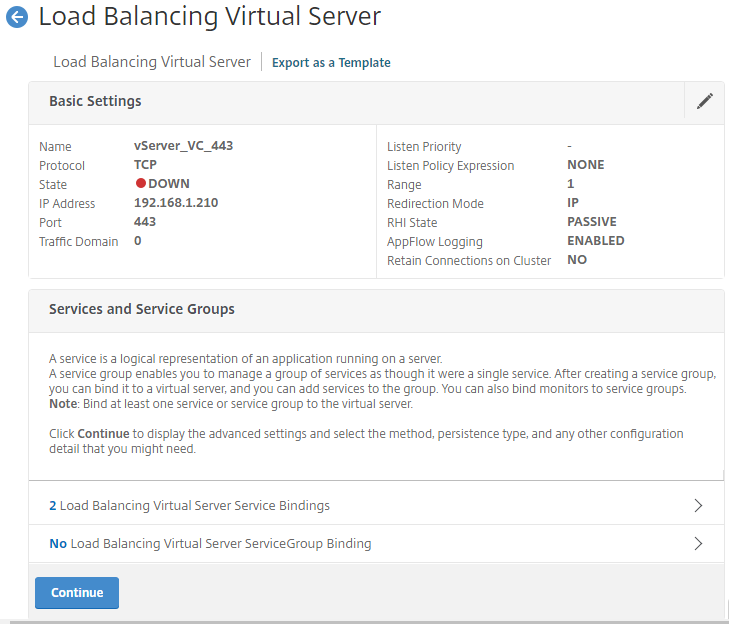 With with load balancing PSC servers is completed will mode to next step of Installing vCenter server and pointing to psc load balanced DNS record. Hope this post is helpful.